Be prepared As the Scout Motto goes, BE PREPARED. 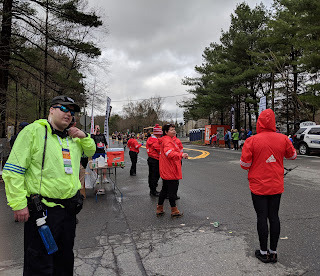 The Boston Marathon is probably the preeminent public service event in all of amateur radio. (My opinion, of course.) 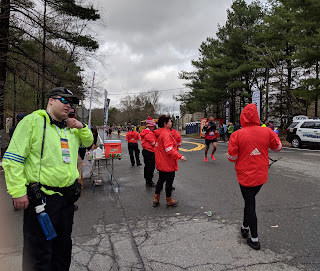 Mind you, the course spreads over 26.2 miles from Hopkinton, Massachusetts to Boston, Massachusetts. You need to be prepared in various ways. 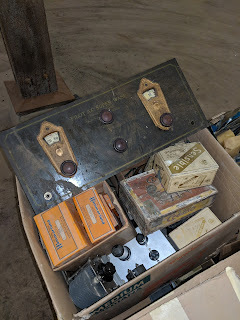 Back in January, I posted about silent key ham W1OCY and his trove of old ham radio items plus other odds and ends that went undiscovered for 8-9 years in a warehouse in Peabody, Massachusetts. I missed out on our club's February meeting due to work commitments, but got an update at our club's March meeting. 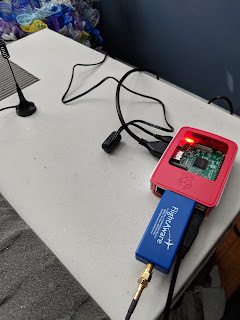 At the time, we hadn't sold anything, but now I can report, that we've sold a lot of stuff and made a nice profit for the club, which is important because we just installed a UHF DMR repeater through the New England Digital Emergency Communications Network (NEDECN). We're still not done, I have still have some of the books in storage as do others. If you need more information or are just interested, email me here.